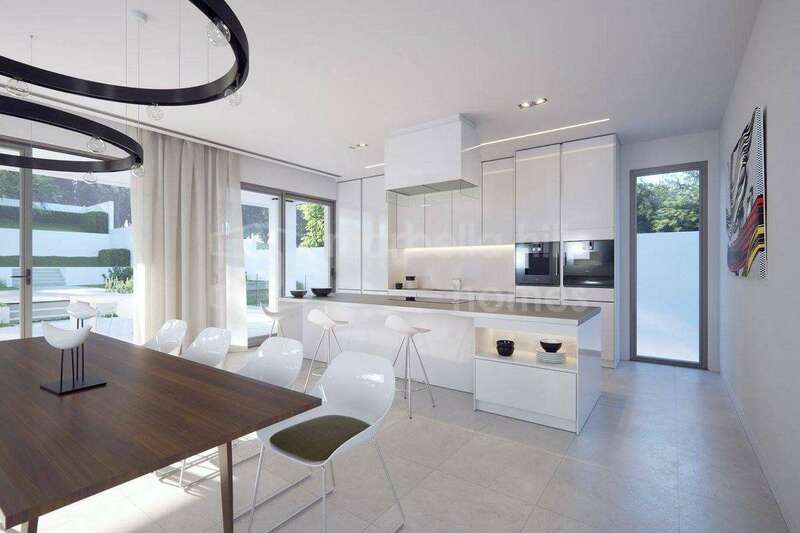 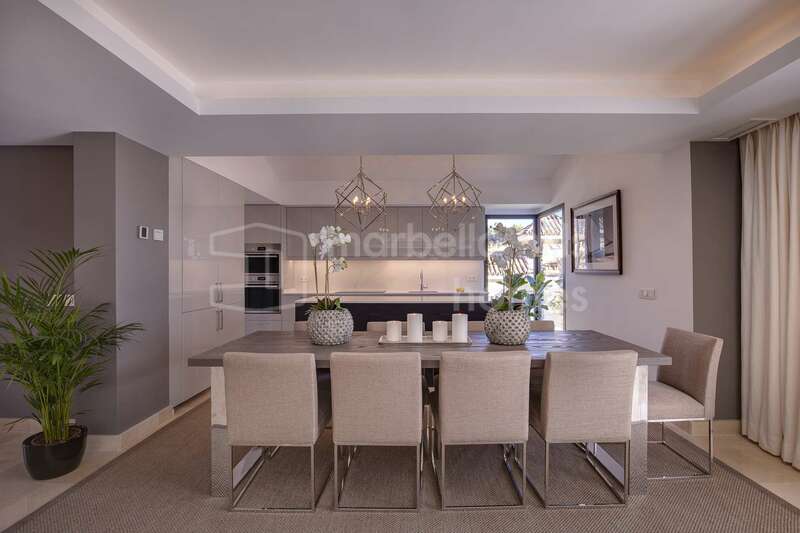 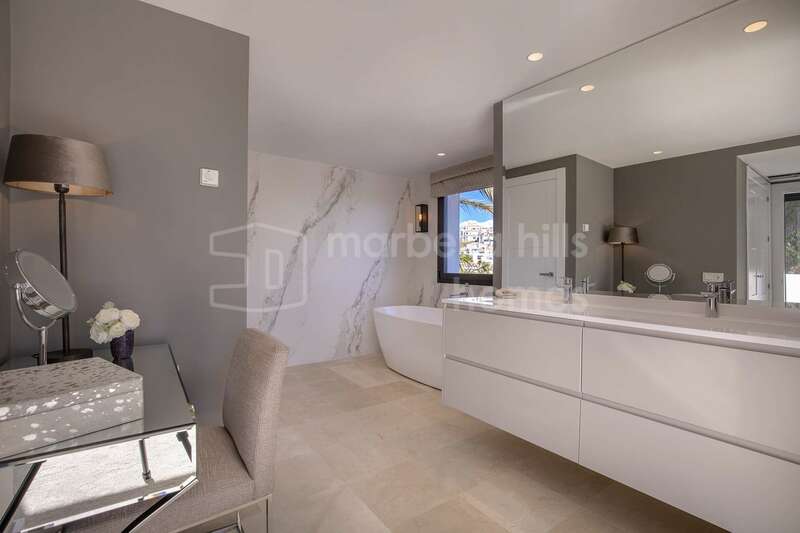 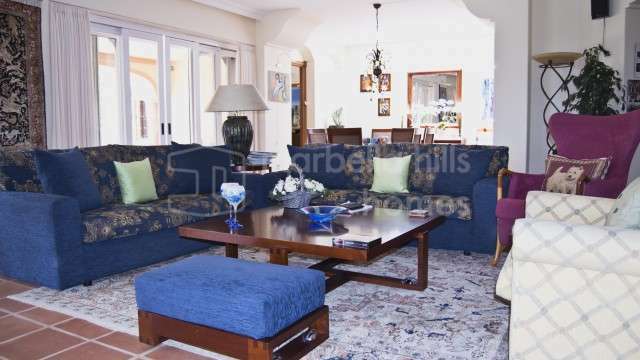 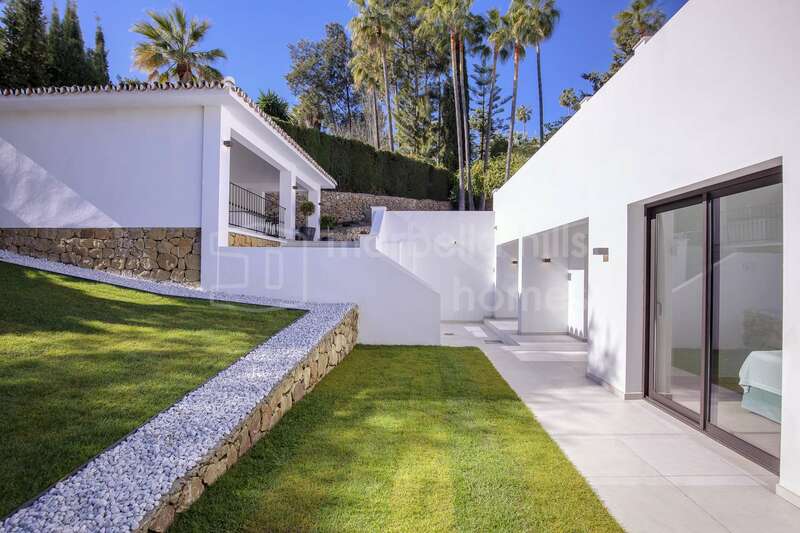 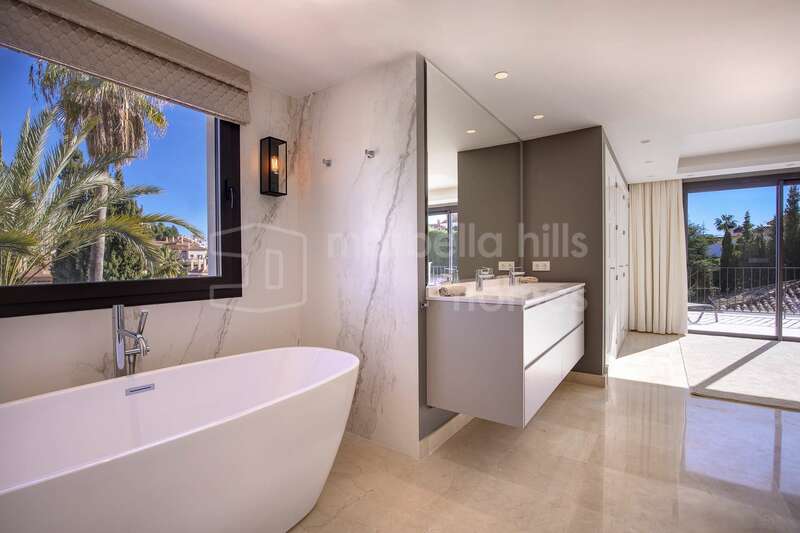 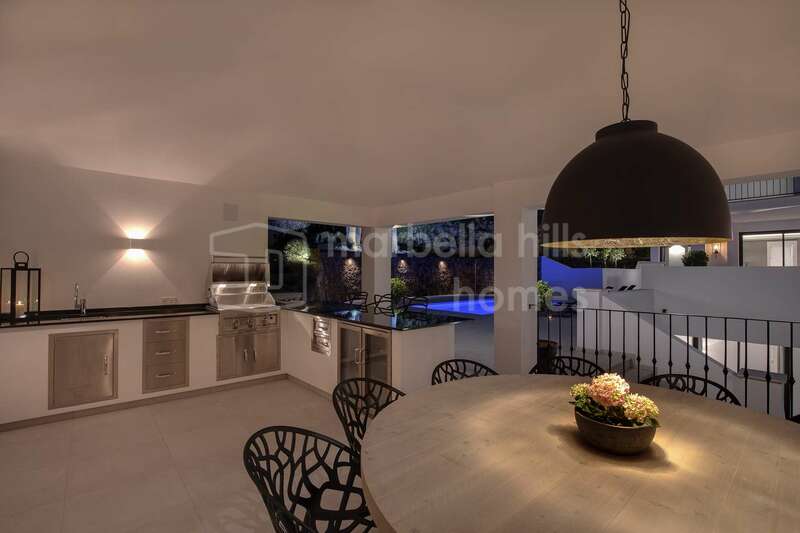 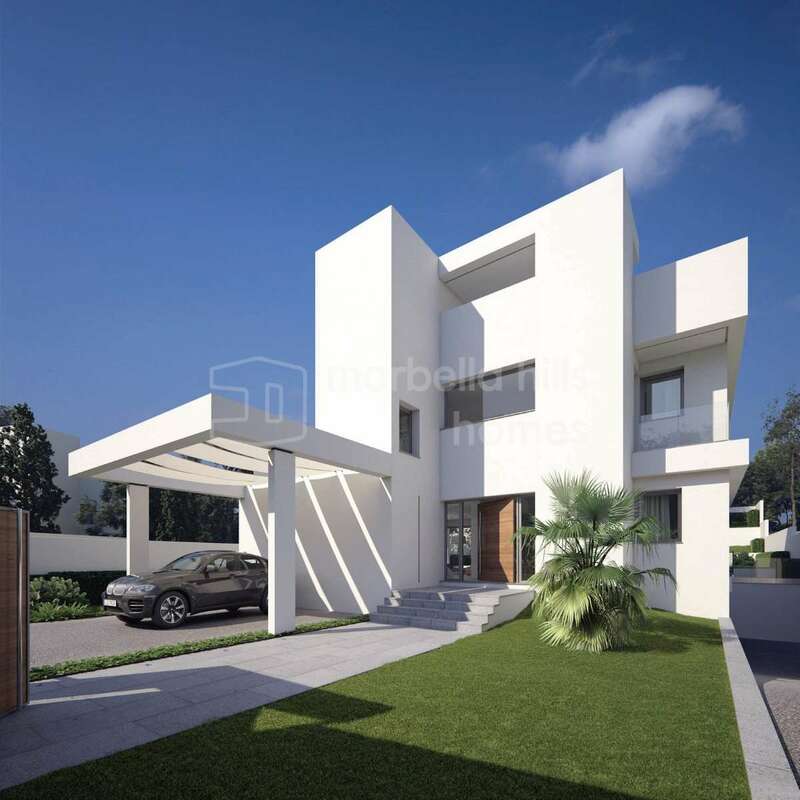 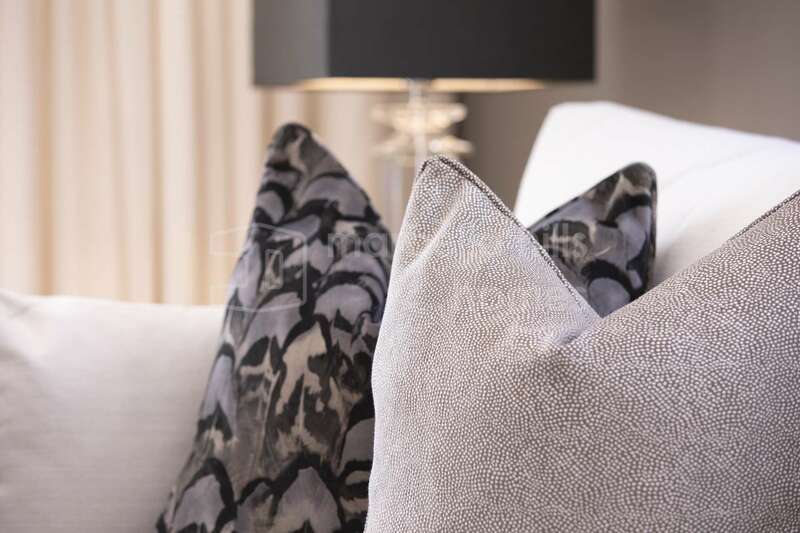 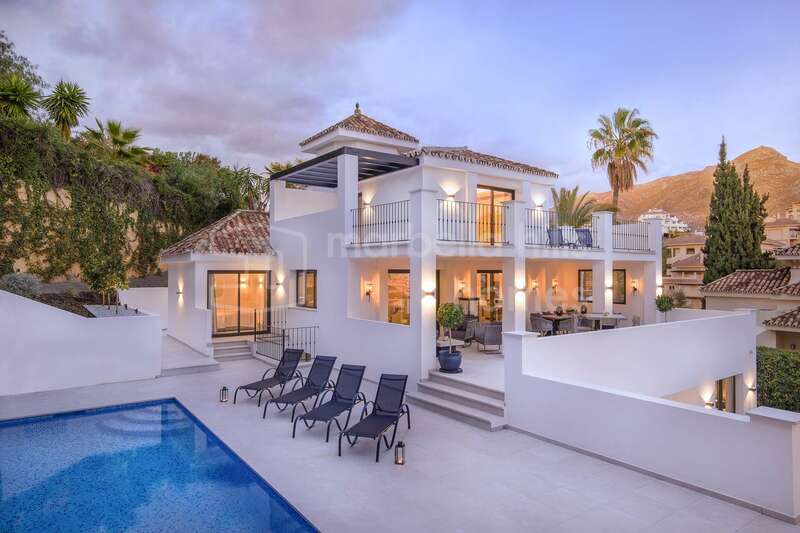 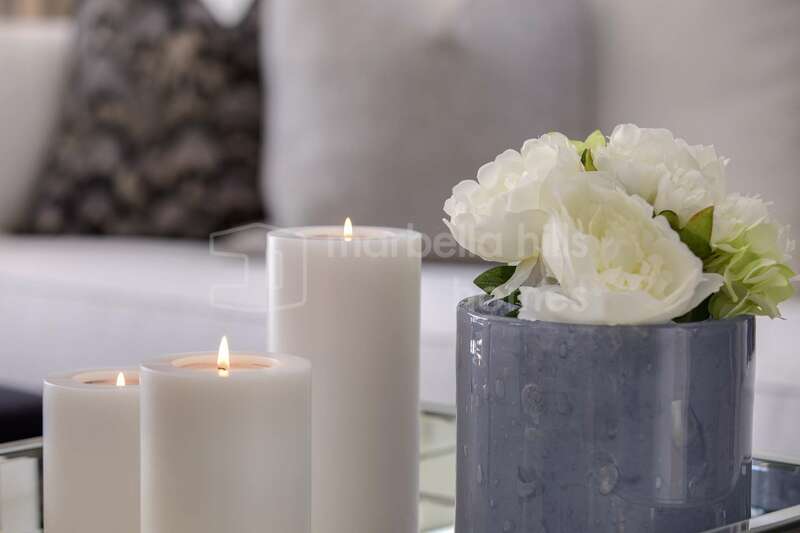 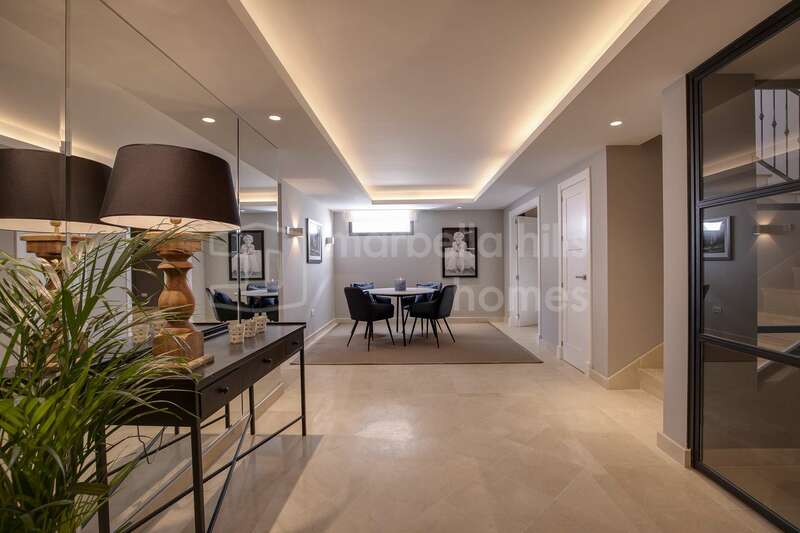 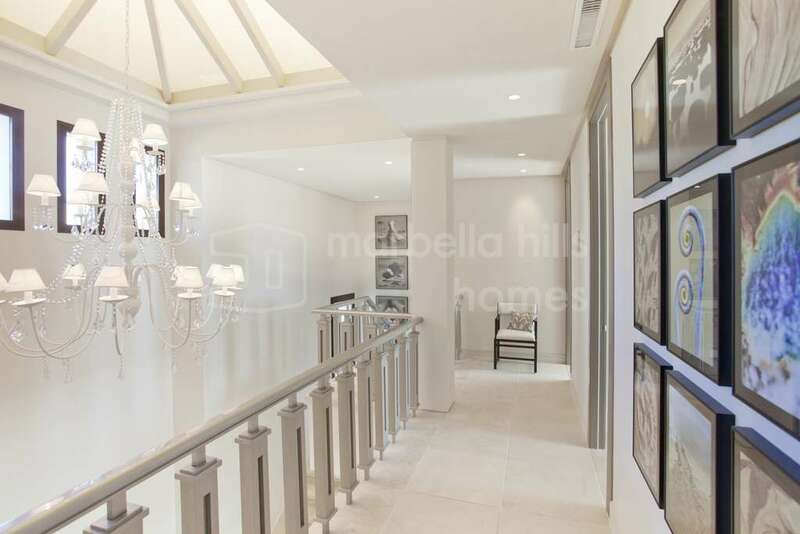 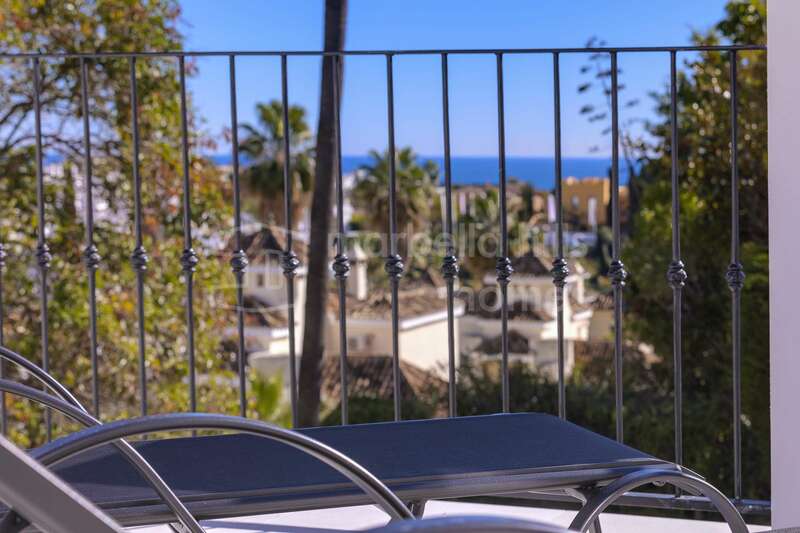 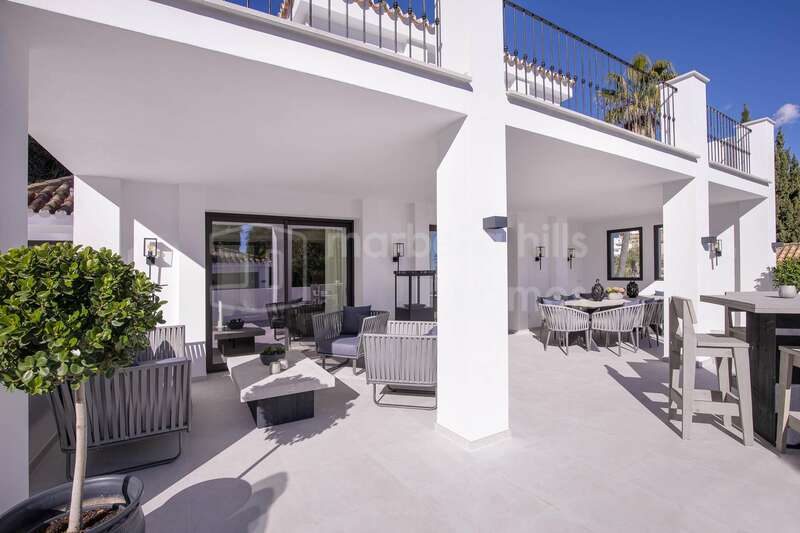 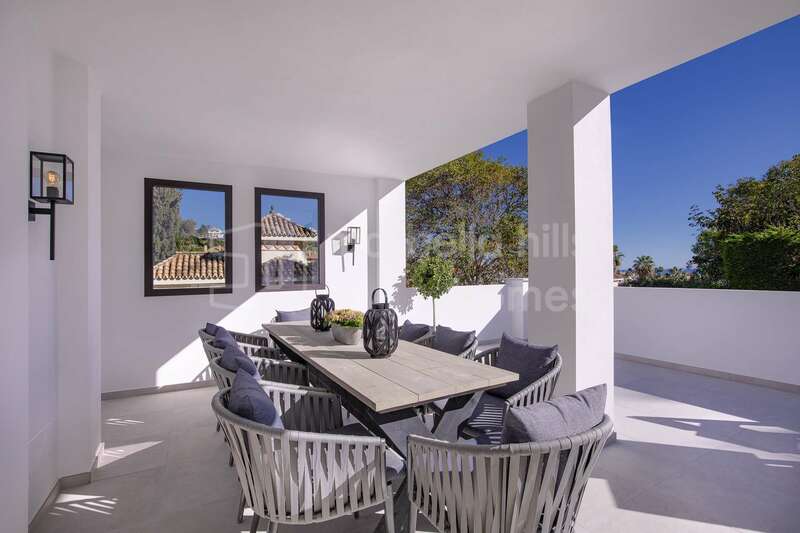 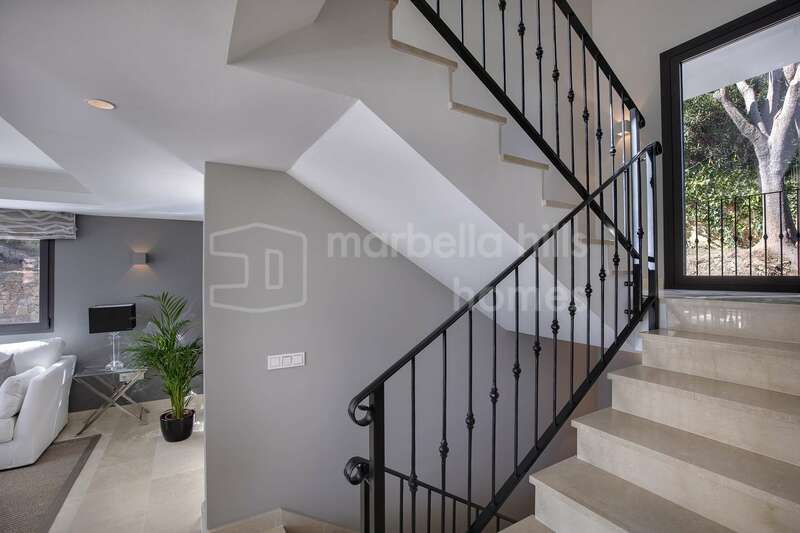 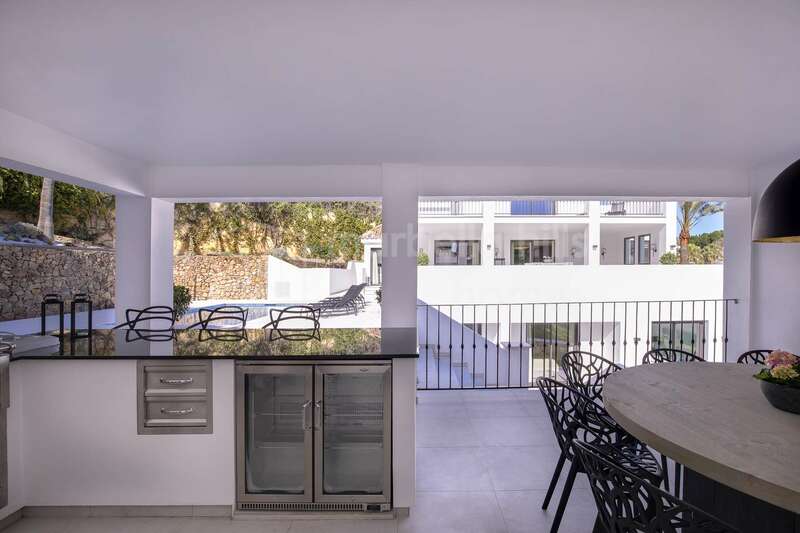 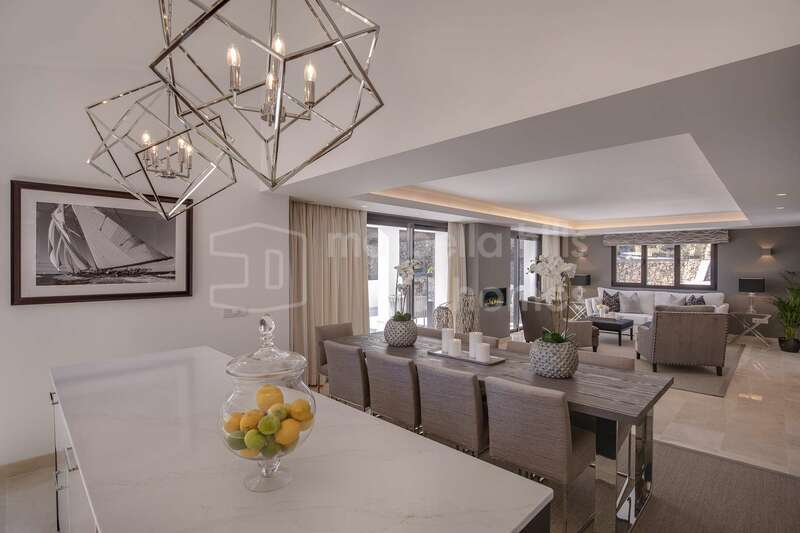 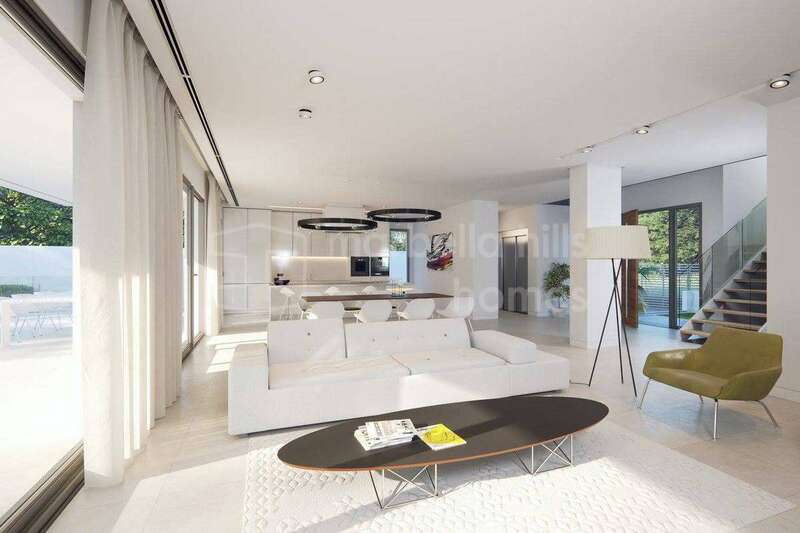 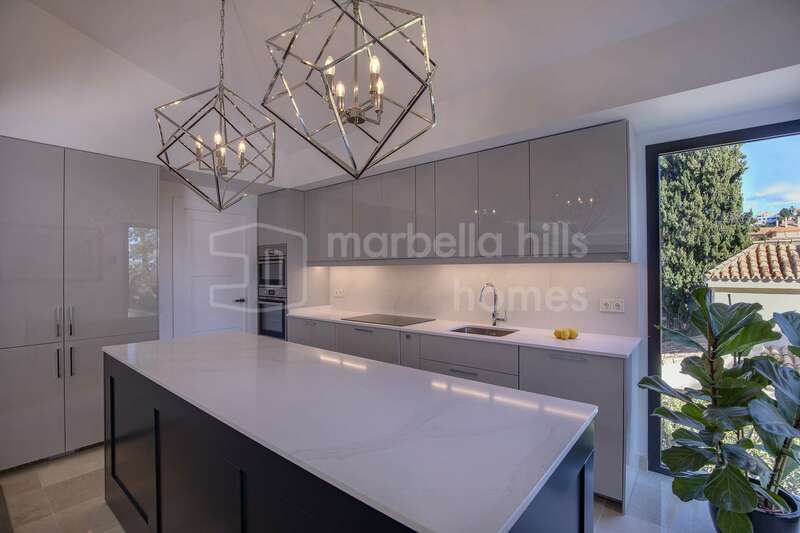 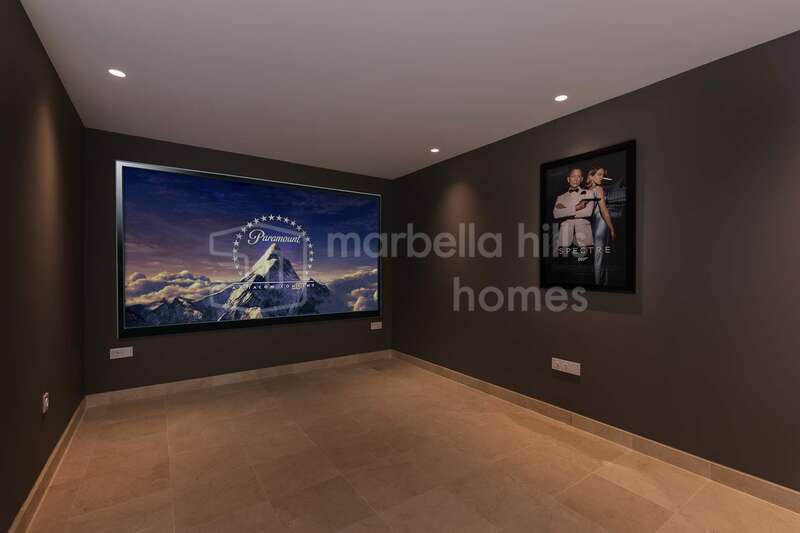 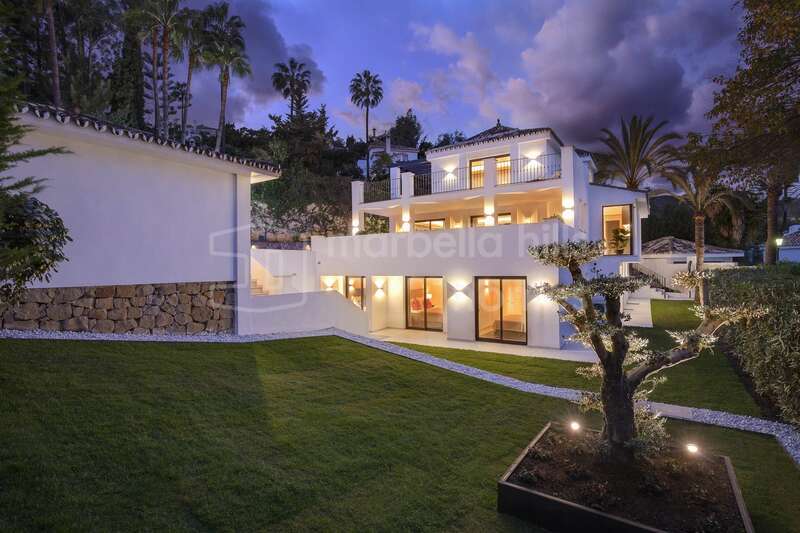 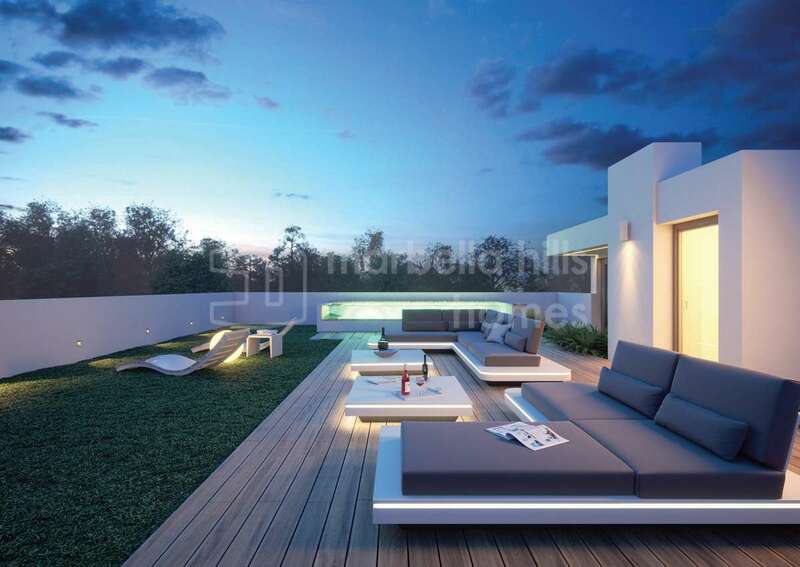 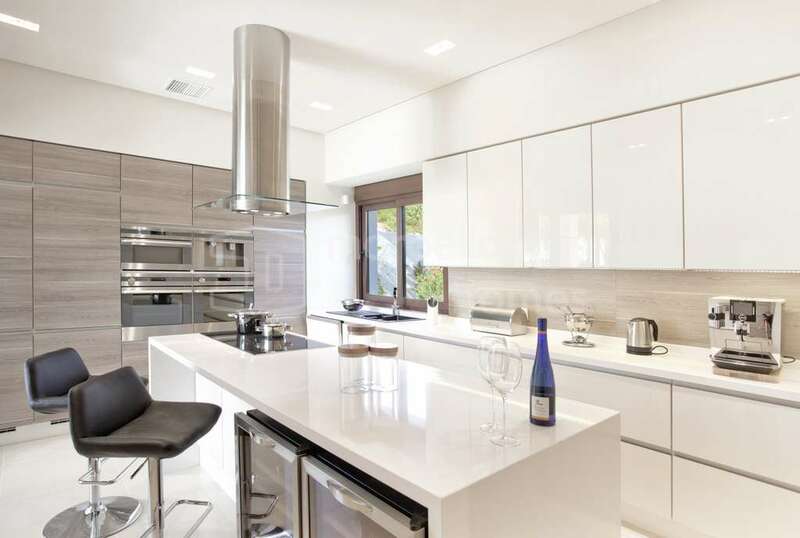 Sumptuous villa with 5 bedrooms and 5 bathrooms elegantly combining both classic and contemporary architecture, located in Nueva Andalucia in the prestigious private and secure 24-hour complex of Los Naranjos Hill Club. 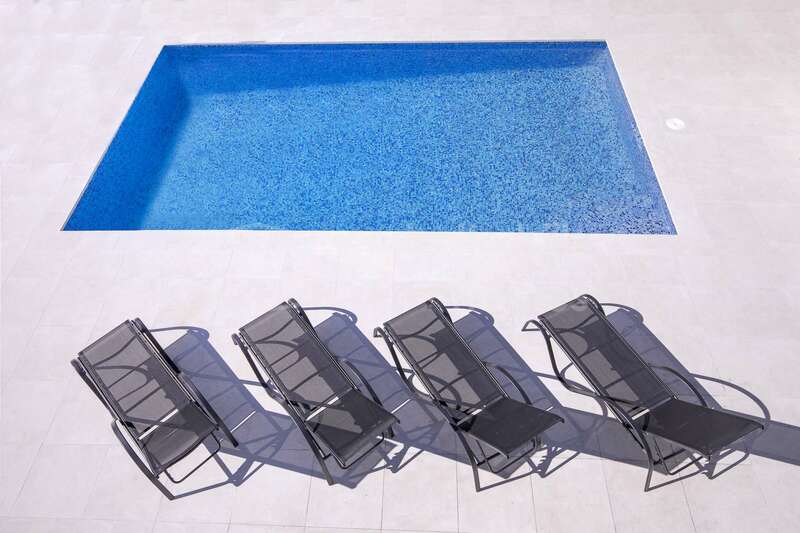 Private pool and garden. 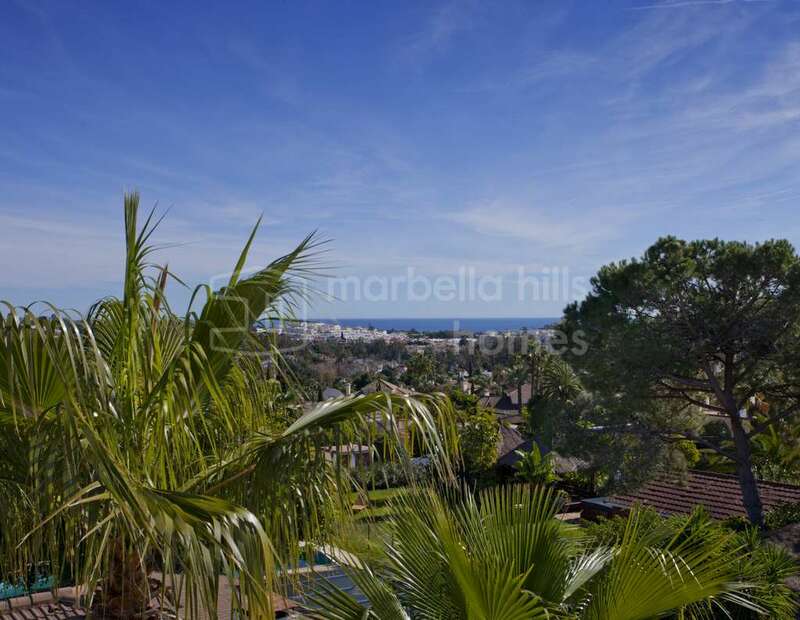 View of the sea. 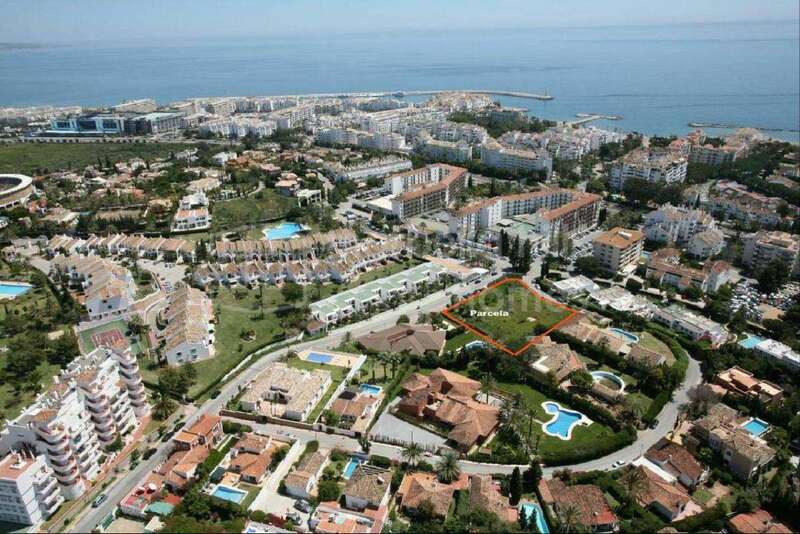 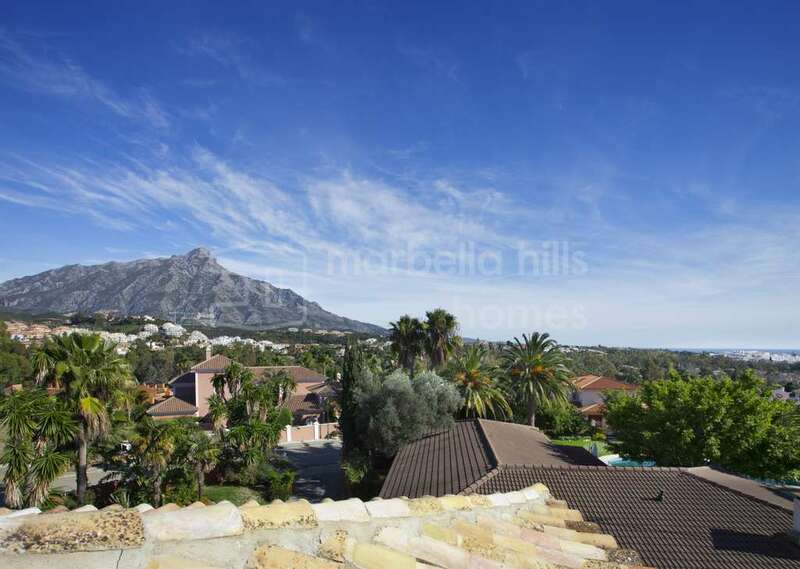 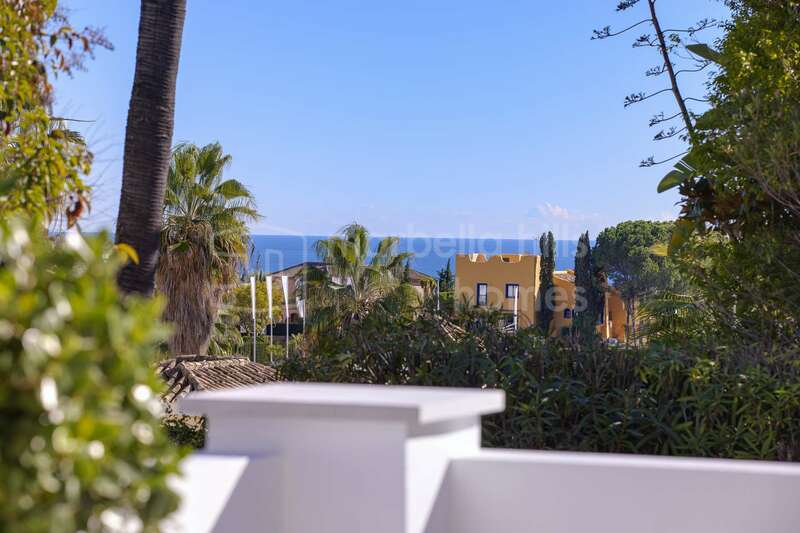 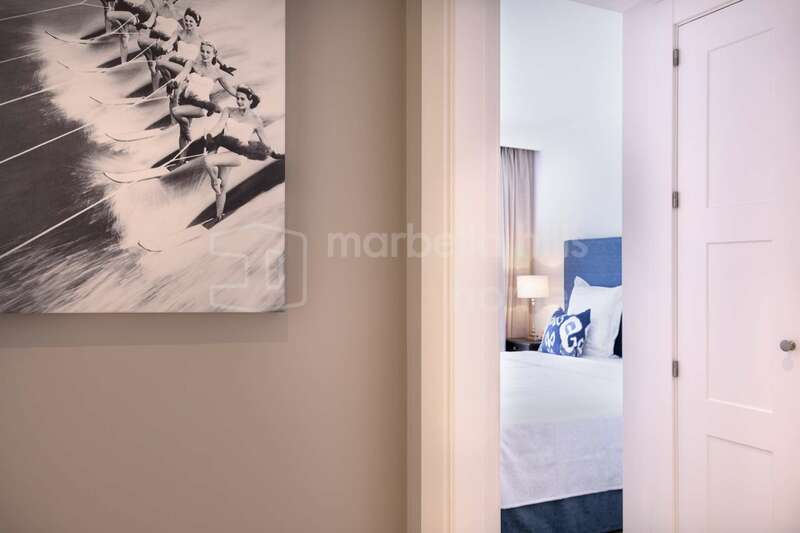 Close to the best golf courses, and only a few minutes drive from Puerto Banùs and all the shops. 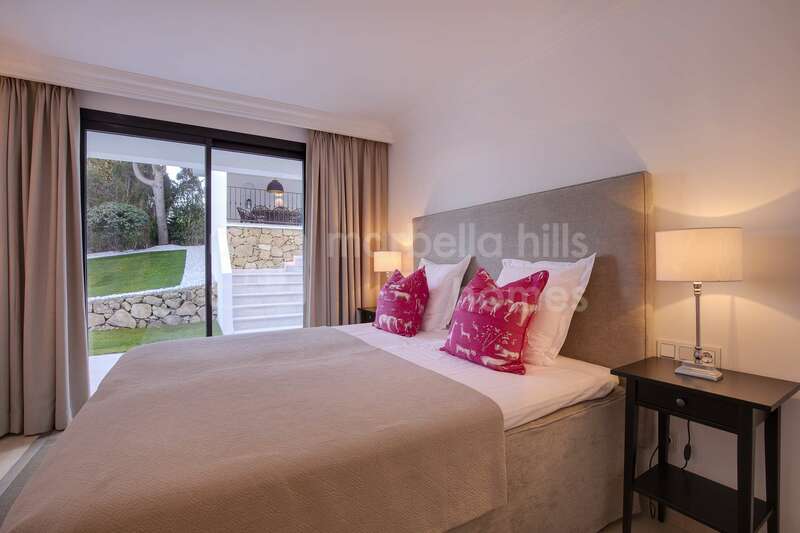 Distributed on 3 levels, the property comprises on the main level a large entrance hall leading to a superb living room – dining room – fully equipped kitchen opening onto a very large terrace with breathtaking views of the sea, then access direct to the garden, pool and BBQ area with dining room and summer kitchen, then a guest room with bathroom, guest toilet. 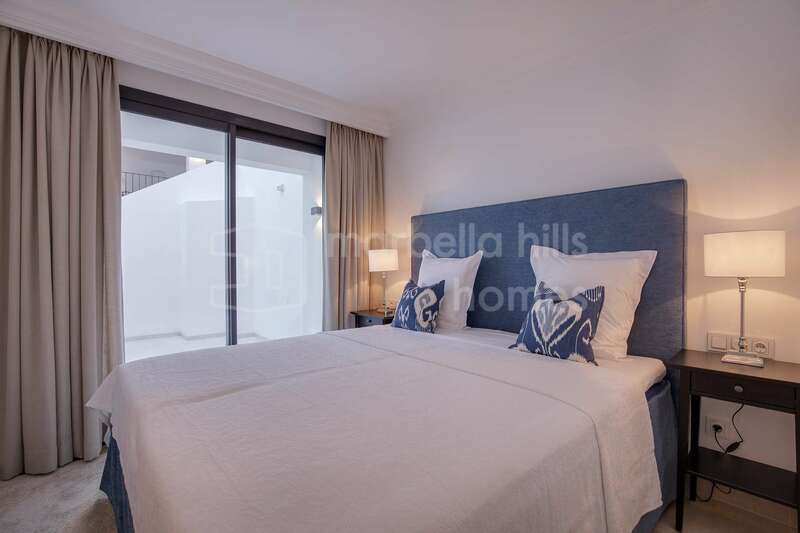 Upstairs is a beautiful master suite with a luxurious bathroom and direct access to a large terrace with partial sea and mountain views. 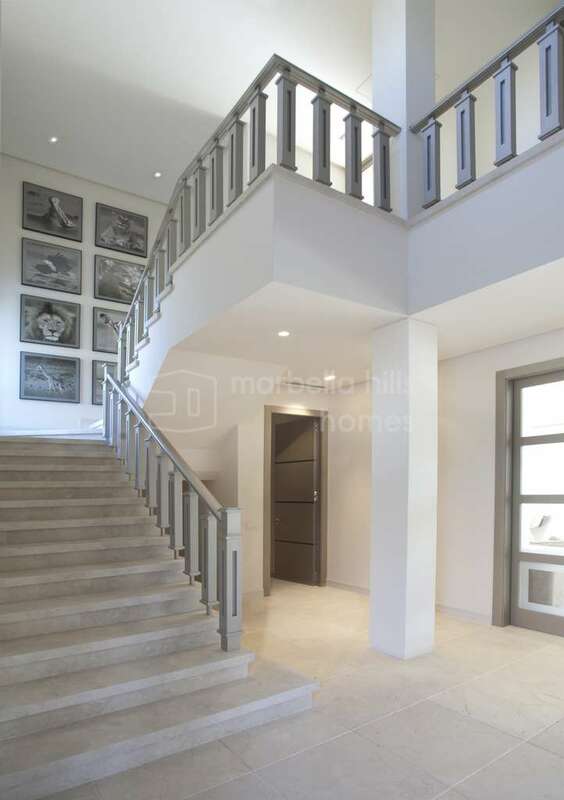 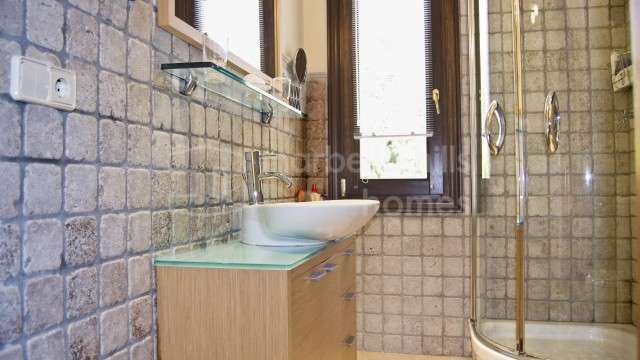 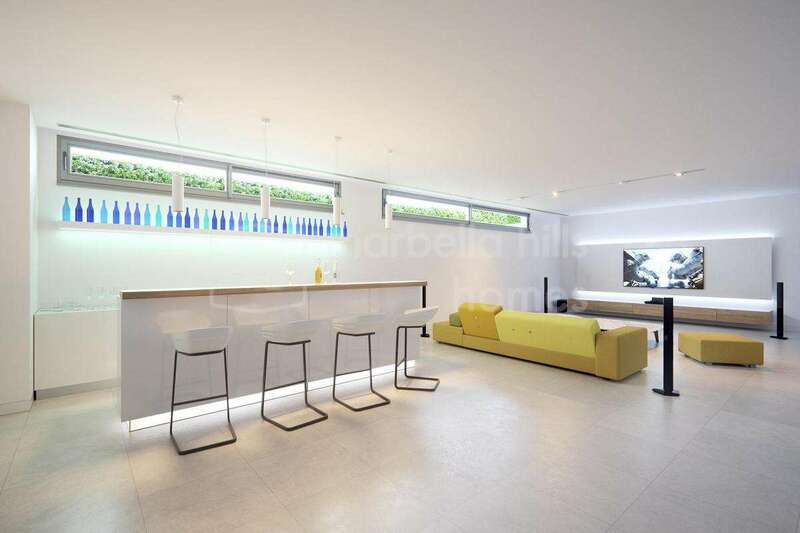 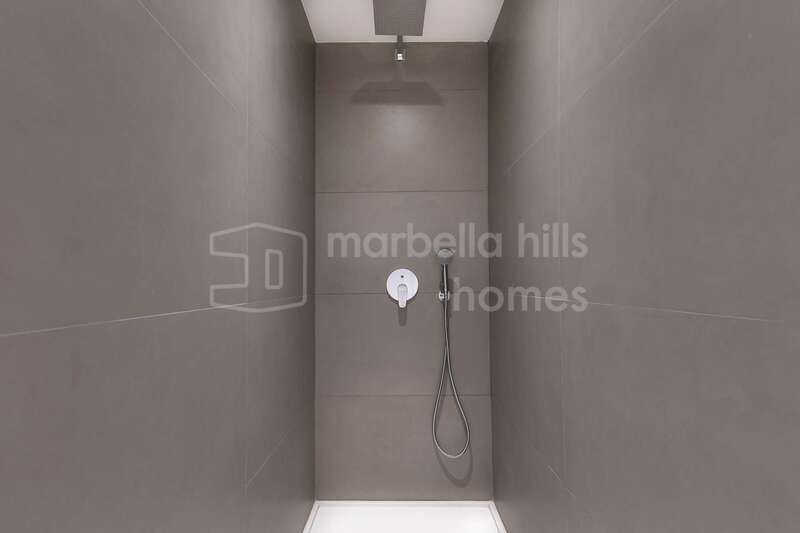 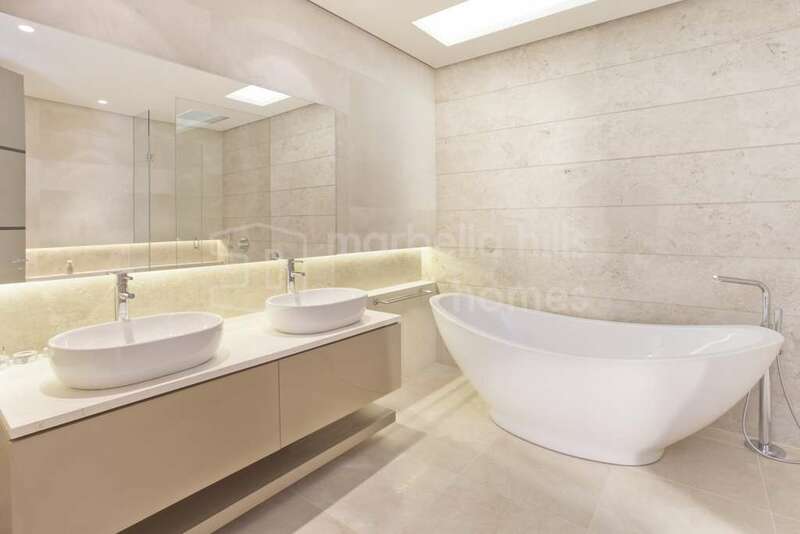 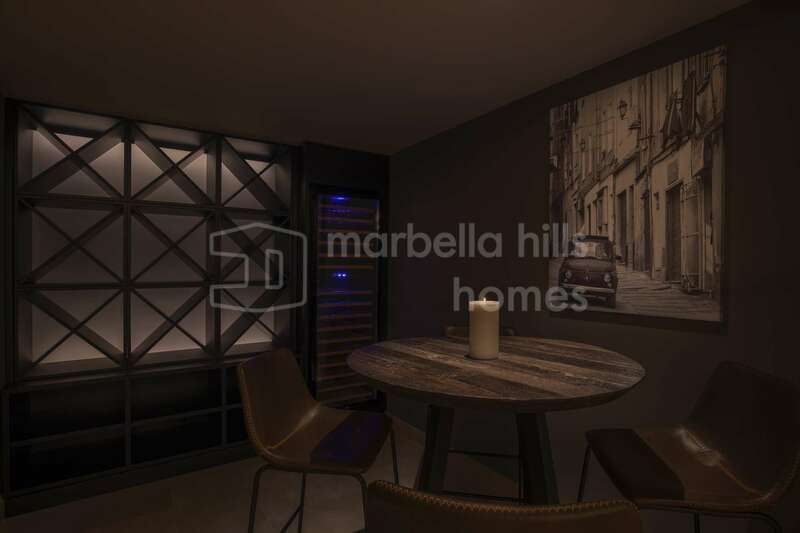 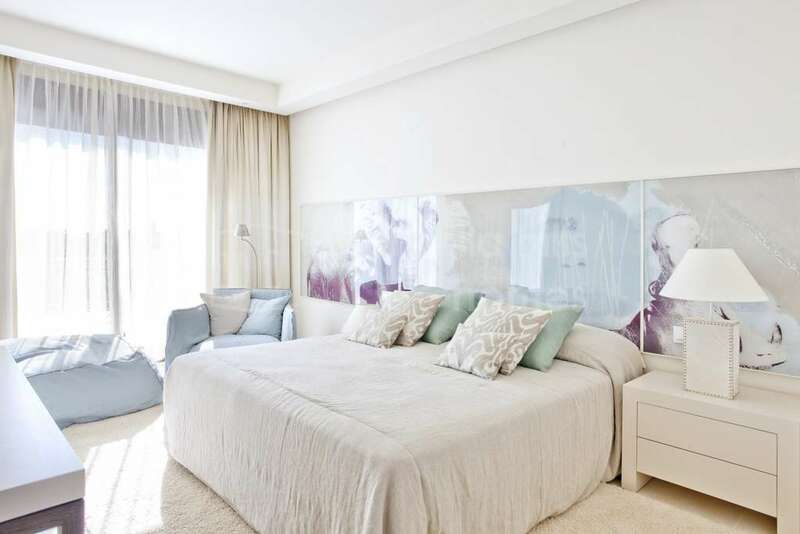 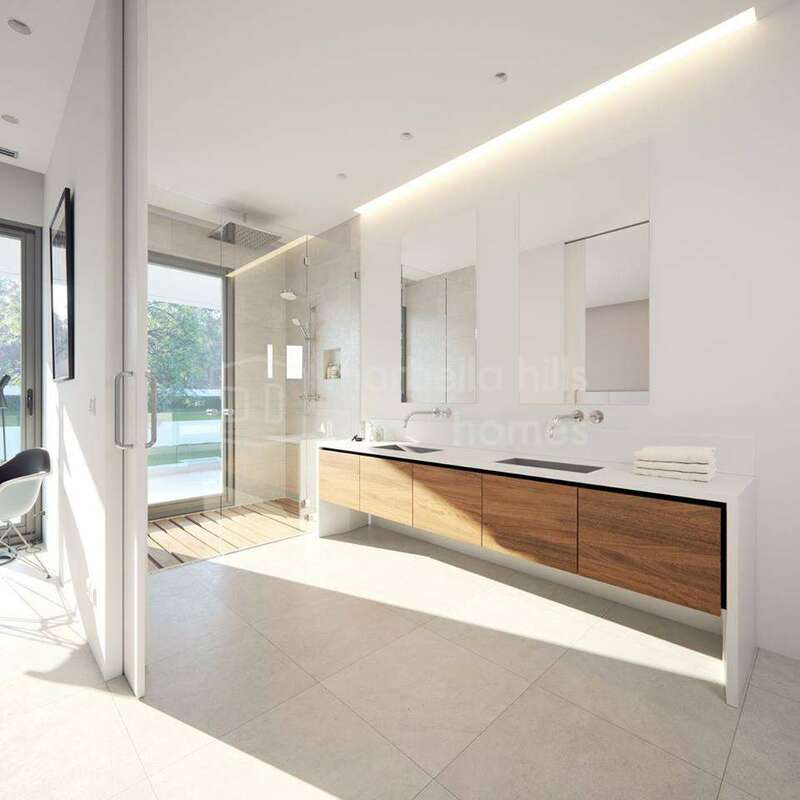 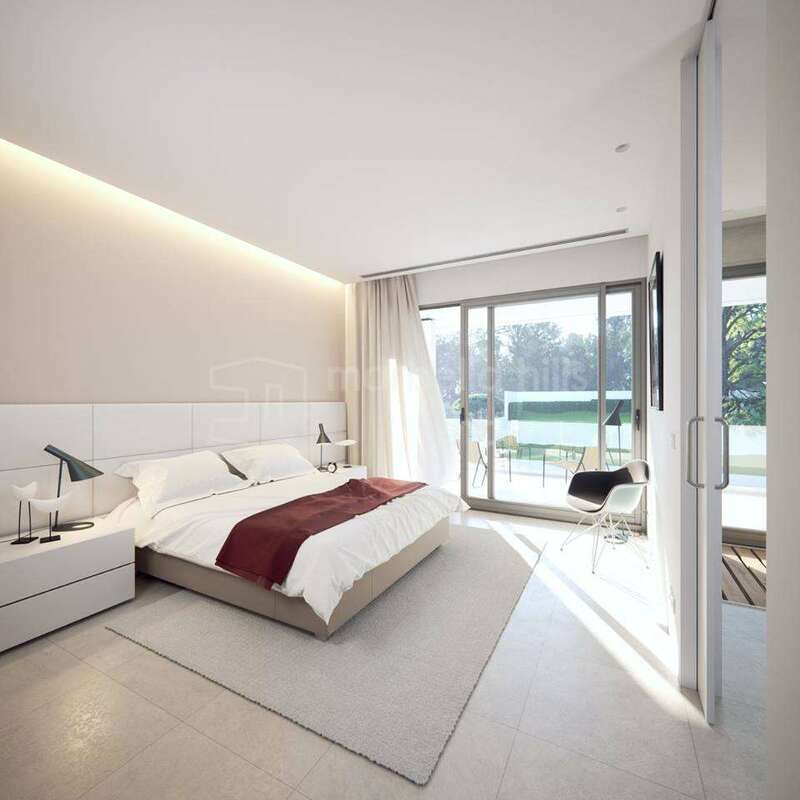 The lower level comprises of 3 bedrooms, 3 bathrooms, a large space including a home cinema, a games room, a wine cellar. 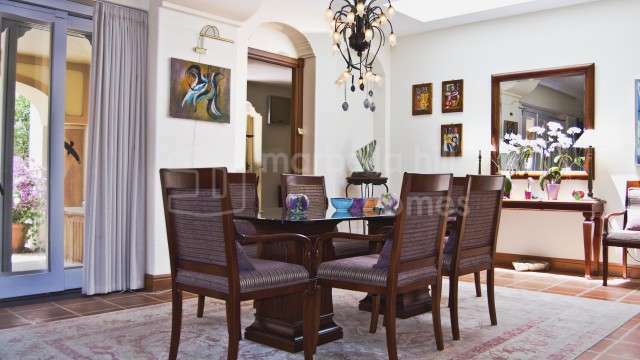 Fully fitted kitchen, Close to schools, Pets allowed, Fireplace, Marble floors, Satellite TV, Basement, Guest room, Storage room, Double glazing, Dining room, Barbeque, Kitchen equipped, Living room, Amenities near, Sea view, Mountain view, Internet - Wifi, Fitted wardrobes, Gated community, Air conditioning, Garden view, Pool view, Cinema room, Underfloor heating (partial), Wine Cellar, Close to children playground, Close to Golf, Game Room, Open plan kitchen, Optional furniture, Excellent condition, Recently Renovated/Refurbished.